Howard County Poetry & Literature Society (HoCoPoLitSo), in partnership with the Columbia Festival of the Arts, presents the Katia D. Ulysse Book Preview with a reading and pre-release book sale and signing on Wednesday, June 25, 2014, at 7:30 p.m. at Monteabaro Hall in the Horowitz Arts Center at Howard Community College. The event is part of the annual Columbia Festival of the Arts; tickets to the event are $15, and available at the festival’s web site at www.columbiafestival.org/tickets. 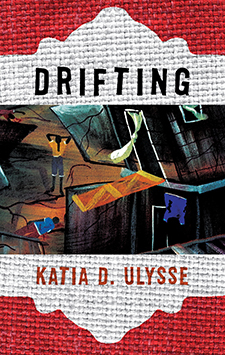 Katia D. Ulysse is an intense new voice from Baltimore whose debut novel, Drifting, will be released in July. A recently discovered talent, Ulysse was invited by National Book Award-winning novelist Edwidge Danticat to be included in her Haiti Noir anthology. A lyrical novel, Drifting explores the lives of Haitian families aspiring to escape hardship and an earthquake’s devastation. 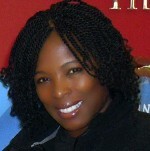 The novel is set before, during, and after the catastrophic 2010 earthquake in Haiti and takes readers from Haiti to the United States and back.